Ageing is an independent risk factor for many different diseases including cancers, ischaemic heart disease and diabetes. With telomere testing we can now assess an individual’s biological age and consequently their susceptibility to certain diseases. 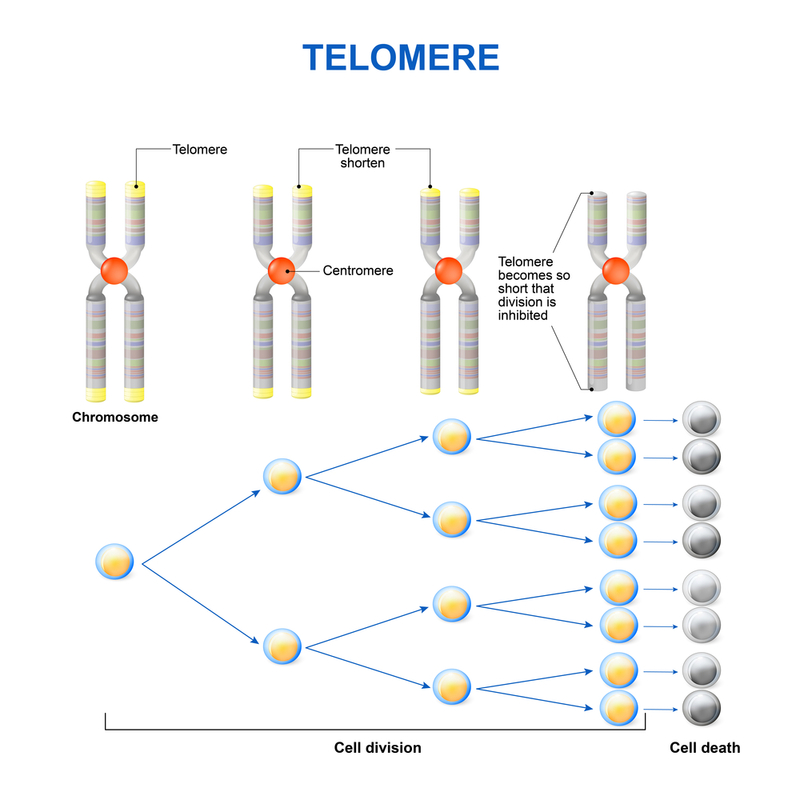 Telomeres are the protective caps on the ends of chromosomes and as all cells replicate and age, the telomeres get shorter. Cells with short telomeres lose function and die – this is an essential part of the ageing process on a cellular level. The length of telomeres (and the ageing process) can be altered by lifestyle changes such as exercise, stopping smoking, reducing alcohol, changes in nutrition, reducing stress and improving sleep. Essentially by identifying an individual showing accelerated ageing we can tailor a management programme to slow or reverse telomere loss and consequently slow down the ageing process and reduce risk of developing age-related disease.